This is the first editioned print by sculptor, architect, and installation artist Mitchell Squire. 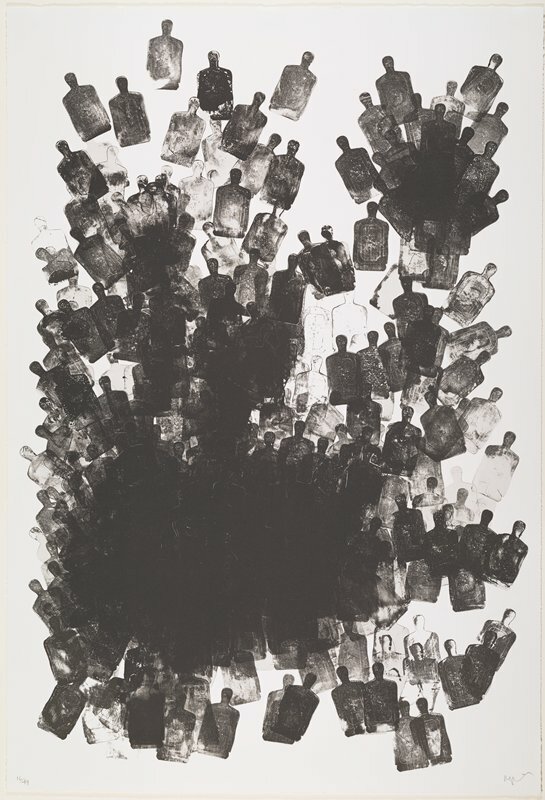 From afar, the large, striking lithograph seems to depict a collection of elegant translucent perfume bottles. Upon closer inspection, the black silhouettes reveal themselves as law enforcement targets—faceless black male torsos—in an arbitrary pile suggestive of a mass grave, the bodies too numerous to count. Politically and emotionally charged, it is a powerful transformation, which each viewer discovers for him or herself.